Acino International AG headquartered in Zurich is a Swiss-based international pharmaceutical company with 1,900 employees. Acino is a leader in the production of complex dosage forms and, as a contract manufacturer, offers its customers a complete service for their manufacturing needs. It has production facilities in Switzerland, Ukraine and Estonia. To serve its international customers quickly and reliably, Acino relies increasingly on serialisation and aggregation solutions by WIPOTEC-OCS from Kaiserslautern. The Aesch production plant in the Swiss canton of Basel- Landschaft uses three different WIPOTEC-OCS solutions. 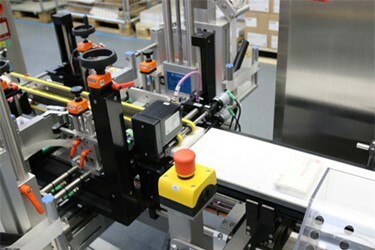 The TQS-SP machine for single pack serialisation, the TQS-CP for case aggregation, and the TQS-HC-A for tamper evidence, serialisation and weighing.